Encontrei 15 Hotéis em Jastrowiec. Escolha a data de entrada e saída para ver os hotéis disponíveis em Jastrowiec. Sem informar as datas, os preços com (*) são preços médios de cada hotel e nos arredores até uma distância de 10 km. Located in Jastrowiec, 29 km from Karpacz, Pałac Jastrowiec views of the garden. Free WiFi is featured throughout the property and free private parking is available on site. Spacious garden includes barbecue and bonfire place. You will find a shared lounge and dining area at the property. There is also a piano and a fireplace. Špindlerův Mlýn is 41 km from Pałac Jastrowiec, while Szklarska Poręba is 40 km away. 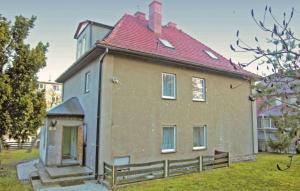 The nearest airport is Wroclaw – Copernicus Airport, 60 km from the property. Storczykowe Wzgórze is located in picturesque natural area og Chełmy Landscape Park. Free WiFi access is available for guests’ convenience. Every apartment offers a balcony and a seating area. The full kitchenette comes with a refrigerator and kitchenware. A shower is provided in the bathroom. Guests can explore the area on horses or on bicycles rented at Storczykowe Wzgórze. There is also a free private parking and a shared lounge. A spacious dining room serves meals based on regional products and herbs and vegetables from the property's own garden. Paszowice is 7.6 km from the property and it is 14 km to Jawor with a Protestant Church of Peace classified as a UNESCO World Heritage Site. Apartment Bolków ul. Wysokogórska is located in Bolków. This two bedroom holiday apartment accommodates up to five people. The living room is outfitted with cable-TV and a DVD-player additionally, internet access is available at no extra charge. There is a fully equipped kitchen present that includes a dishwasher and a microwave. The bathroom in the apartment is equipped with hot water and a bathtub. Activities in the surrounding area include horse riding. Copernicus Airport is located 58 km from the property. The property offers free parking. Featuring free WiFi and a terrace, Villa Elizabeth offers pet-friendly accommodation in Bolków, 29 km from Karpacz. Rooms come with a flat-screen TV. Each room is fitted with a private bathroom. For your comfort, you will find free toiletries and a hairdryer. Špindlerův Mlýn is 41 km from Villa Elizabeth, while Szklarska Poręba is 42 km from the property. The nearest airport is Wroclaw – Copernicus Airport, 58 km from Villa Elizabeth. Set in Bolków, Pokoje Gościnne Bolków is a homestay with free WiFi and units fitted with a kitchen and balcony complimentary private parking is available on site. A buffet breakfast is available each morning at the homestay. Karpacz is 29 km from Pokoje Gościnne Bolków. The nearest airport is Wroclaw – Copernicus Airport, 58 km from the accommodation. Holiday home Bolków ul. Slowackiego is located in Bolków. This eight bedroom holiday cottage accommodates up to sixteen people. The cottage is outfitted with three TV's and a radio additionally, internet access is available at no extra charge. There is a fully equipped kitchen present that includes a microwave. All three bathrooms on the property are equipped with both showers and bathtubs. This property is located 100 m from the nearest river where swimming can be enjoyed and 200 m from the nearest shopping and dining opportunities. This holiday home is 58 km from Copernicus Airport. The property offers free parking. Os clientes estão à vontade para utilizar a cozinha, gratuitamente, e existe também uma lareira no jardim. Dispomos de 4 bicicletas híbridas e 2 bicicletas de montanha para alugar. Featuring free WiFi and a barbecue, Pod Chmielarzem offers accommodation in Wojcieszów, 23 km from Karpacz. Free private parking is available on site. The area is popular for skiing and cycling. Špindlerův Mlýn is 34 km from Pod Chmielarzem, while Szklarska Poręba is 32 km from the property. The nearest airport is Wroclaw – Copernicus Airport, 69 km from Pod Chmielarzem. Featuring free WiFi, a barbecue and a children's playground, Agroturystyka Agro-Podkówka offers pet-friendly accommodation in Ciechanowice. Free private parking is available on site. Every room includes a TV. Each room includes a private bathroom. A range of activities are offered in the area, such as horse riding and cycling. The farm stay also offers bike hire. Karpacz is 21 km from Agroturystyka Agro-Podkówka, while Špindlerův Mlýn is 33 km away. 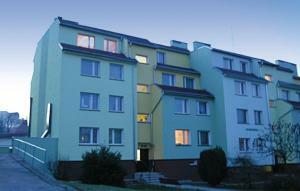 The nearest airport is Wroclaw – Copernicus Airport, 66 km from the property. Offering a large restaurant and an outdoor pool with a private artificial beach, Hotel Karczma u Macieja is located in a green area of Bolków, 5 km from the centre of town. Free WiFi access is available. Each classically furnished, pastel coloured room here will provide you with a TV. Private bathrooms come with a shower. Extras include a desk. At Hotel Karczma u Macieja you will find a 24-hour front desk, a garden and a terrace. Other facilities offered at the property include meeting facilities and a children's playground. The property offers free parking. It is 5,4 km to the Bolków Castle. Castle Książ is 20 km away.